I've been pretty busy since my last post, with family in town and a happy little niece to chase around. So today, I offer you just a few words and a whole lotta photos. 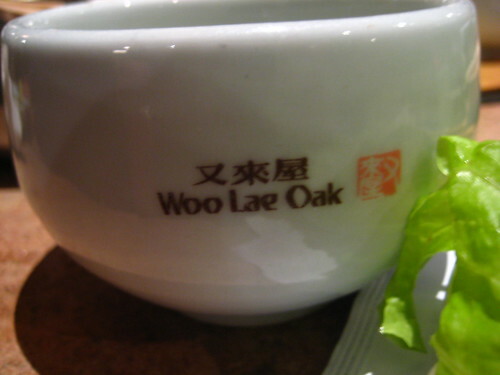 These pictures are from my parents' anniversary dinner at Woo Lae Oak, a Korean barbecue restaurant in Rolling Meadows. 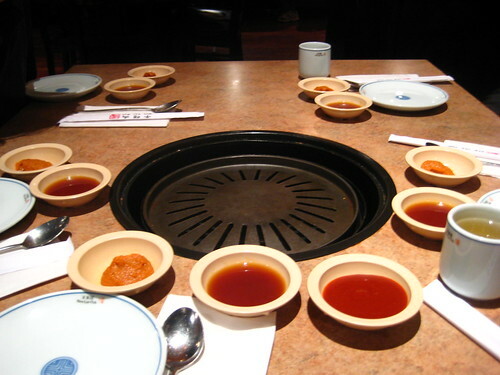 I love Korean barbecue -- it kind of reminds me of tapas, except Asian. And this time, we went with a real live Korean (Jenny's boyfriend, Terry)! Our table and grill, before the feast. 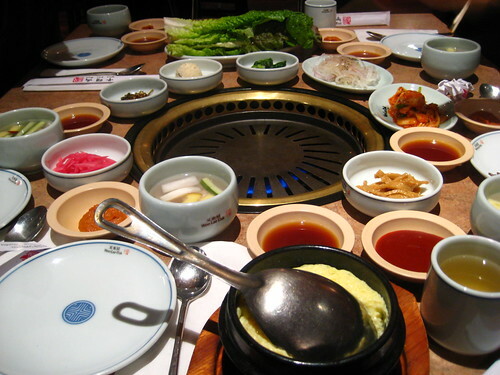 Our table and grill, with banchan. 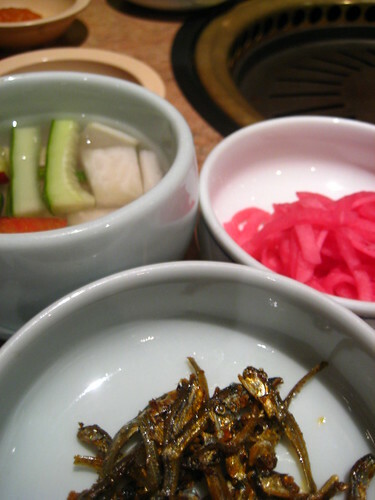 Hello, banchan. 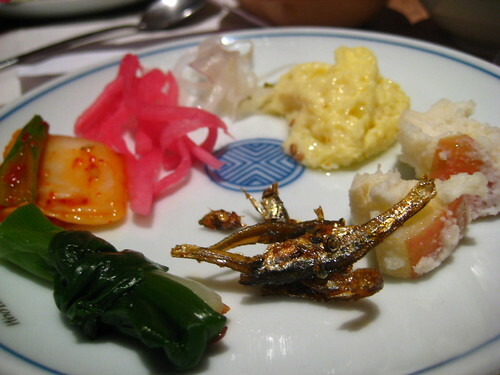 Clockwise, from top left: salted little fishies, fish cake type things, bright pink pickled radish (? 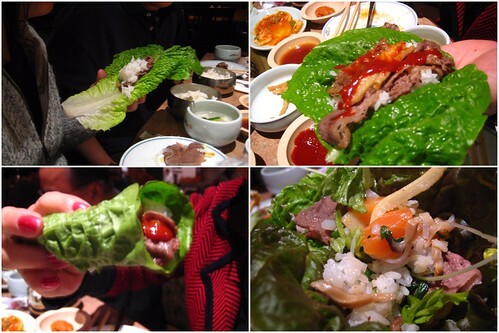 ), green onion bundles with spicy sauce, a scoop of mashed potato, and kimchi. I think the little fishies are my favorite. Some interesting soup. 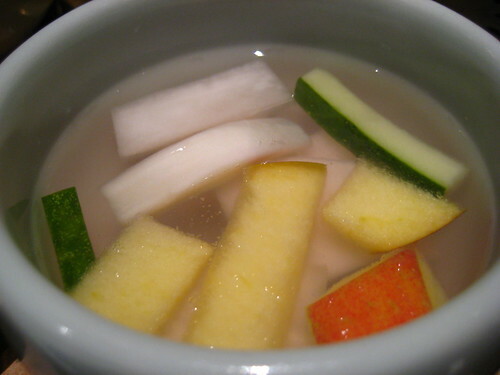 A cold, pickled broth. With fruit! Yes, like apples and stuff. Like I said, it was interesting, but a good interesting. Kind of like a palate cleanser. 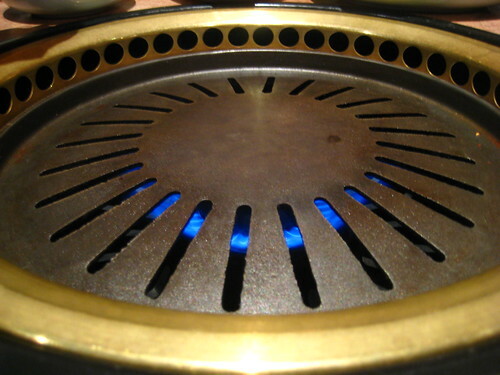 Here's the grill, heating up. The waitress cooked our meat at the table for us. Aaaaand here's the meat. 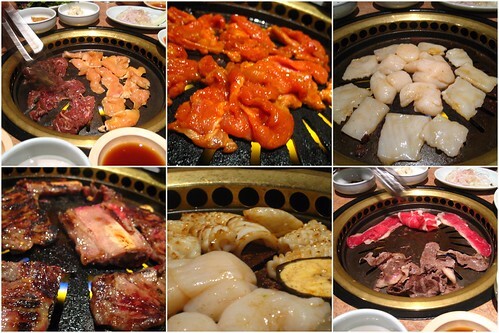 Clockwise from top left: bulgogi and chicken, some spicy meat, scallops and calamari, beef strips, more scallops and calamari, and galbi. Oh! 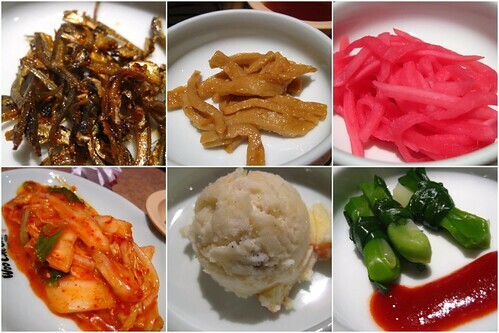 Here's some more banchan. I ordered bi bim bap, because I just couldn't resist. It came with fresh salmon, but no fried egg. Which made me happy and sad all at the same time, but mostly just happy because oh how I love fresh salmon. 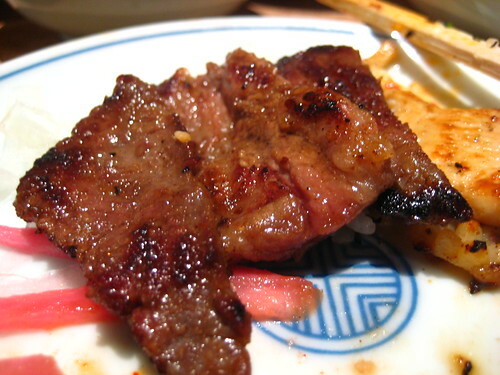 Mmm...galbi. So flavorful and tender and juicy and special. We got a big plate of lettuce to make wraps. An awesome meal. Definitely better than that place in Lisle that Murdo and I went to. Murdo couldn't make it to Woo Lae Oak, so I'll definitely be back there with him. *A special thanks to Jenny, my assistant photog during the meal. 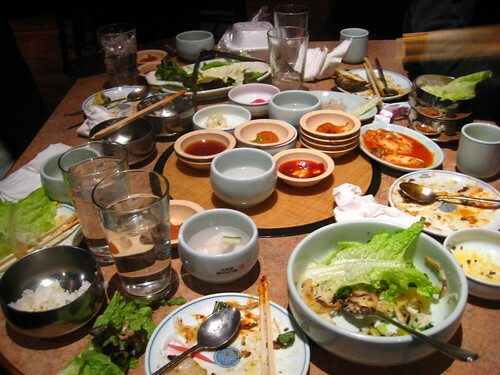 Looks great--I like the spicy meats and the side dishes. 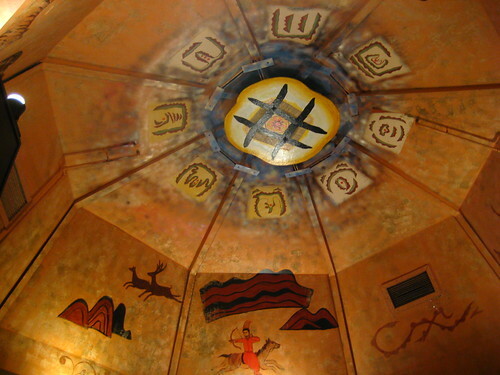 I also am a big fan of bi bam bop, especially in a stone bowl--mmmmmm. damn, that looks awesome! How much though?? mitch - i wish i had a higher tolerance for spicy foods -- i'd be able to order a lot more on the menu. 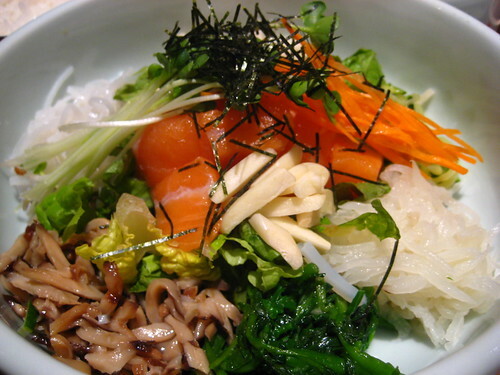 the side dishes are fun! ryan - hmmm...maybe about $20 per person? we ordered a combo dinner (which included seafood, veggies, beef, bulgogi, kalbi, and chicken, all for the grill), one appetizer, and bi bim bap. and we were stuffed by the end! I think it was more like 30 each but that was with tax and tip and no alcohol. That place was soo good, we need to go back! 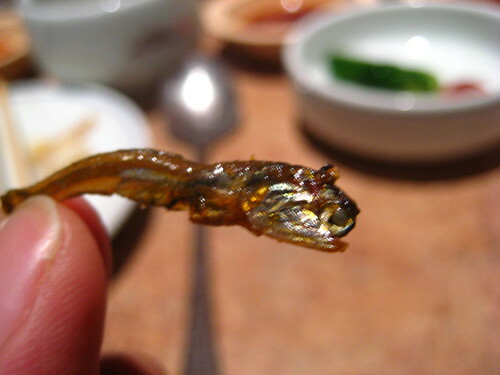 If you like deep fried foods have you tried using rice oil? It has a very high smoke point and it is healthy. j - oh yeah, $30 is probably more accurate. i agree though -- let's go back! katie - the fishies are salty and crunchy. i've never eaten kitty treats, so i can't compare. :) welcome!